Living in a cold winter climate for 6 months of the year can mean figuring out creative ways to monitor the internal climate of your home. The air can become so dry during the season of forced air heating, that using a humidifier to put moisture back into the air is considered one of the best ways to reduce the ability of airborne viruses to cause flu infections. Keeping the nostrils lubricated helps to relieve chronic congestion, alleviate snoring and keeps skin clear and hydrated. Similarly, the use of Himalayan Salt Lamps has been proven to deliver benefits like detoxification and respiratory support. 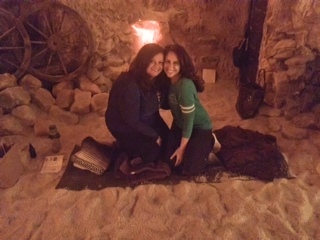 It’s worth considering how to maximize the hibernation time we spend during the winter months, so when the opportunity to experience a yoga and meditation session in a ‘salt cave’ was introduced, it seemed to be the perfect opportunity to learn about the benefits of blending regulated breath with mineral detoxification. Those who practice yoga and meditation on a regular basis likely already know the benefits: calm mind, improved sleep, greater focus with complex tasks, a happier disposition, increased flexibility, the list goes on and on. Yoga is a process of awakening and awareness. It creates an understanding of our connectedness to everything. Much more than just postures or ‘asanas’, yoga is derived from the Sankrit word “yuj” which means “to unite or integrate”. Comprising a 5000 year old Indian body of knowledge, yoga is all about harmonizing the body with the mind and breath through the means of various breathing techniques, asanas and meditation. 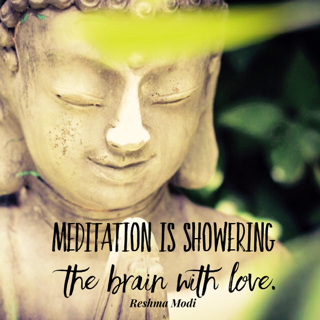 The meditation portion of the class is lead by Reshma Modi. The Max Meditation System™ uses the full spectrum of meditation techniques for a truly revitalizing experience. This system brings together years of effective meditation techniques developed by Dr. Gudni Gudnason who has studied for 35 years, exploring the phenomena of the mind. It is based on a fusion of ancient techniques of yoga and mind acrobatics, mixed with modern techniques of psychology and neurolinguistic programming. It uses breathing, deep-body relaxation, as well as passive, active and guided meditation. Together, all of this is conducted within a bed of Himalayan salt spread out evenly on the floor of the salt cave. Soft lighting, various fountains offering the soothing sounds of flowing water, and the gentle lilt of meditative music provide the backdrop for the entire experience. Much like the benefits provided by humidifiers in our cold North American climate, cave rooms full of salty air have been considered therapeutic in European countries for hundreds of years. These salt-filled rooms act as a powerful aid for people affected by breathing-related conditions, and offer additional support for those who wish to purify their lungs and detoxify their bodies. The ancient Ayurvedic and yogic cultures of India also relied on salt inhaling therapies to cleanse out the nose and throat areas. 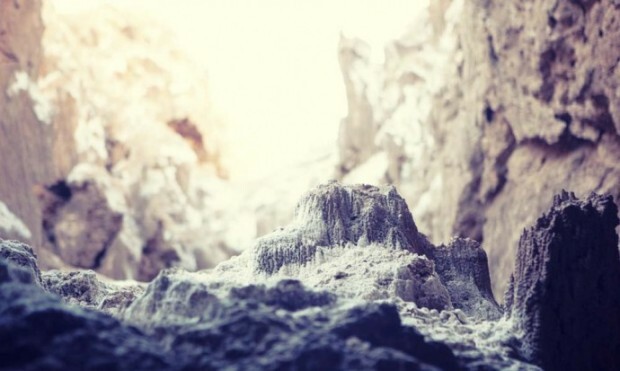 Interestingly, it has been found that workers in salt mines do not develop lung diseases, but actually have extremely healthy respiratory health. Modern salt air therapy beyond Himalayan Salt Lamps include Himalayan Crystal Salt Inhalers, where the salt crystals rest in a chamber inside the inhaler. As you breathe, natural moisture in the air absorbs the salt particles into the lungs, which can help with sinus problems, asthma, the common cold, allergies, hay fever and congestion. Unlike steroid inhalers and other pharmaceutical drugs, this therapeutic approach offers absolutely no negative side effects. The experience left me feeling revitalized, energized and aware of the importance of good respiratory health. It’s a smart way to combat the pollution of big cities, and some of the more negative side effects of habits like smoking and inhaling second hand smoke. 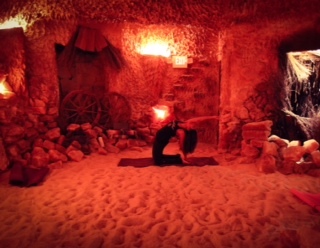 If you would like to experience this unique and beneficial salt cave practice, visit http://www.saltcave.ca/ to learn more about their class schedule. They sell a wide array of Himalayan Seat Salt products for those who would like to continue to reap the benefits of the practice.